Oh Dear readers, do we have not only a wonderful interview to share with you all today, but honestly this is going to be an amazing week! As many of you know, and some of you are probably here for this specific reason….we love us some God damned Fallout. The entire series, but specifically Fallout 4. And with less than 4 months left until we get to explore this universe in a whole new way, I am so excited to share some words from a few more (added to the dozen or so we have already spoken with) folks who helped bring the characters of Fallout 4 alive. And we are kicking this off in a very big way. Today we have some great words from the amazing voice over artist and actress Julie Nathanson who is just an absolute delight and a genius in her craft. True Fallout fans will know her as the mysteriously optimistic Penny Fitzgerald who can be a bit loosed lipped about what is truly going on at Covenant. And as it always seems to be, it was so damn great to hear about the plethora of amazing work that Julie has given the world. She has worked on a ton of other video games including work in the Far Cry and Final Fantasy series, as well as on screen and animated voice over work on series ranging from Powerpuff Girls to Beverly Hills 90210. Seriously, this amazingly talented human has done it all! She even has a new series on YouTube Red featuring Kat Dennings and John Cena to share with you all, which we will discuss below. So with that, please enjoy some amazing words from the brilliant Julie Nathanson! When did you first discover that you had a talent for the art of performance, both on screen and in the voice over world? Was it an early passion that drove you to these professions, or did you just find yourself in this world one day? When I was six years old, we put on a little play at school. I remember it was the first time I had ever seen an audience from a stage. Parents in folding chairs and everything. Anyway, I was in the second skit, but when the curtain went up, the kid from the first skit was nowhere to be found. Empty stage. The audience started murmuring, and general child chaos ensued. I saw this unfolding from backstage and immediately threw my hair into a low ponytail, put on the weatherman’s hat and suit jacket the absent kid was supposed to wear… and waltzed onto the stage. I did his entire scene. And then my own. Apparently, in my excitement, I had memorized the entire play. Not just my lines. Everyone’s lines. I’m fairly certain that was early evidence of my passion for performing. (Either that, or really weird memorization skills. I did memorize the first 60 digits of Pi in eleventh grade. But that’s another story.) So, yes, I discovered my love of acting at a very early age. It’s funny, I’ve never told that story in an interview before, but it really was pivotal. One of your gigs as a VO artist has been on a video game series that we hold rather sacred here at TWS, and that would be the Fallout series. Specifically Fallout 4, in which you had a couple of roles in. So, I am curious what it has been like to become a part of this die-hard community specifically, as compared to the plethora of other series you have worked on. Have you received any sort of specific attention for your roles in the Fallout world? Oh, I was so excited to play in the Fallout world! 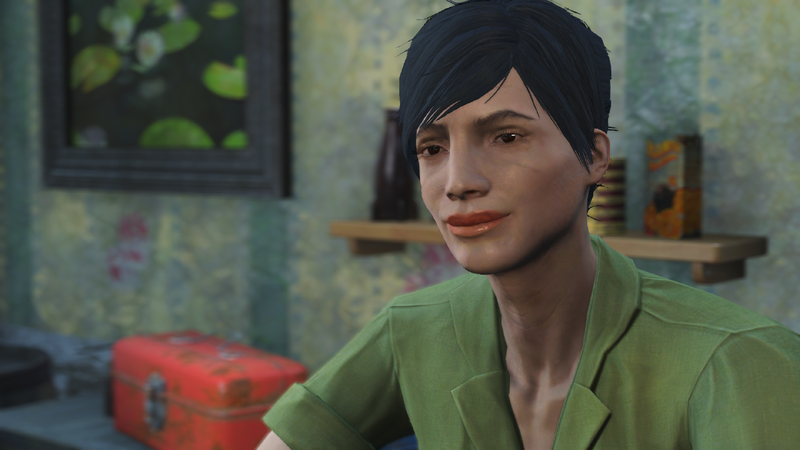 My roles in Fallout 4 aren’t huge, but they’re fun. Especially Penny Fitzgerald. She’s a little eccentric, and she’s also a little annoying. I like playing quirky characters. The fans were incredibly kind and enthusiastic, and I was really grateful to be welcomed into this beloved world. Plus, Courtenay Taylor, who voices the Female Sole Survivor, is one of my closest friends, and I loved watching the community embrace and celebrate her awesome performance. When you are working on a video game series, I am curious to know just how you may personalize the character? What do you do to make sure that these characters come to life? How do you put your own spin on characters like these? I always start with knowledge and empathy. I study the lines and character descriptions, looking for clues to a deeper understanding. I want to make the character real for myself before I attempt to make it real for anyone else. That’s the first step to personalizing it. Once I’m clear about who this person (creature, elf, computer, adorable blob of goo) is to me, then I get to work on the scene itself. The voiceprint comes last, and if I’ve done my homework correctly, it falls out of my head organically. Even with an oddball character like Chocolina (Final Fantasy 13-2, Lightning Returns), once she was clear in my head, her wild enthusiasm flew out of me like the bird-like wacko she is. For Jess Black in Far Cry 5, the process was a little different. I have a Master’s Degree in Clinical Psychology, so I have a deep understanding of trauma. This helped me dive deeply into Jess’ world and make her pain – and even her sarcastic coping skills – very real to me. I understand that you have been working on a pretty exciting new project available on YouTube Red entitled Dallas & Robo? Can you tell us a bit about this project? What will we be hearing you do on this project? Dallas and Robo is basically a 1970’s trucker movie in space. With cannibal bikers. What more could you ask for?? It’s hilarious, and the cast is phenomenal. Kat Dennings is hysterical as Dallas, and John Cena is fantastic as Robo. I play the Computer voice, which has somehow become an odd niche for me as a voice actor… playing A.I. voices and computers. And I’m so human in real life! The first episode is streaming now for free on YouTube, and the rest is available on YouTube Red. I also understand that beyond the voice over work, you are also a wonderful singer in your own right. Where does this passion stem from? And what sort of music brings you the most joy to create? Thank you! My father loved grand opera, and I have an abiding love for this music. I have studied classical singing for many, many years. My mother is an otherworldly gifted blues harmonica player, and my grandmother played drums for decades. I love that you asked about joy. That’s actually the answer to your question. The sort of music that brings me joy is the sort of music I like to sing. Whatever brings me joy. If I ever came out with an entire album, it would be such a mix of genres! Little opera, little indie, little musical theater… but in the coming weeks, I am releasing a cover of Aimee Mann’s “Wise Up.” The song has meant so much to me at various points in my life, and I am excited to share my interpretation of it. I haven’t created much in the way of original music, although I’ll be releasing a lullaby I wrote later this year. See? Another genre! I’m voicing some incredibly cool projects about which I’m very excited (NDAs for all of them – I’m sorry! ), and I’m also writing a couple of new scripts at the moment. Between these and the upcoming song releases, I’m definitely keeping busy. I’d like to thank your readers for being interested in multitasking artists like myself! Feel free to connect with me on social media. 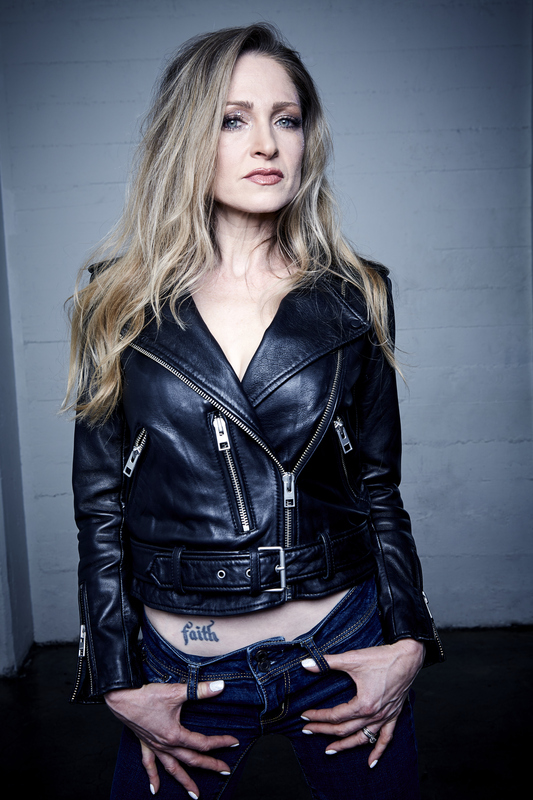 I’m pretty active on Twitter (@julie_nathanson), and I post about voiceover, odd humor, kindness, and weird words. And I’m finally getting better acquainted with Instagram (@julie_nathanson). Come say hello! To be honest, just being asked this question made me smile. And prior to that, I smiled because I thanked someone for her caring friendship. Gratitude – feeling it and sharing it – brings me joy.